Driven by dollars and not ethics, from Enron scandal to Satyam corporate fiasco, integrity is the entity which businesses of our age take for a ride. At times I wonder how fair this whole game would be if we had canine in the cubicle and the board room. With the rare exception of great guru Dogbert, we don’t have a tainted past when it comes to greasing the corporate wheel. Living this dream is an enterprise, Murthy & Associates, a large consulting organization dedicated to excellence in canine rest and relaxation. A company run by canine, it is the future of corporate governance. With dogs taking the center stage we have designations like Senior Vice-President, Love and Affection which speaks volumes about what enterprises of today have been missing upon. Scotty – Senior Vice-President, Finance, Security and Human Resources, Murthy & Associates. Chunnu, Extremely Senior Vice-President for Manipulation of Dull and Stupid Human Slaves confers with Cookie on the strategy to be adopted for the next phase of exploitation. Zui Senior General Manager for Endless Sports, Frolic and Renewable Energy, takes a break on the finest most expensive carpet known to mankind, disregarding polite requests to sleep elsewhere. As I pen this, Scotty, Senior Vice-President, Finance, Security and Human Resources, Murthy & Associates has been invited by NASDAQ to discuss a listing. We will keep you posted as and when the firm decides to go public. 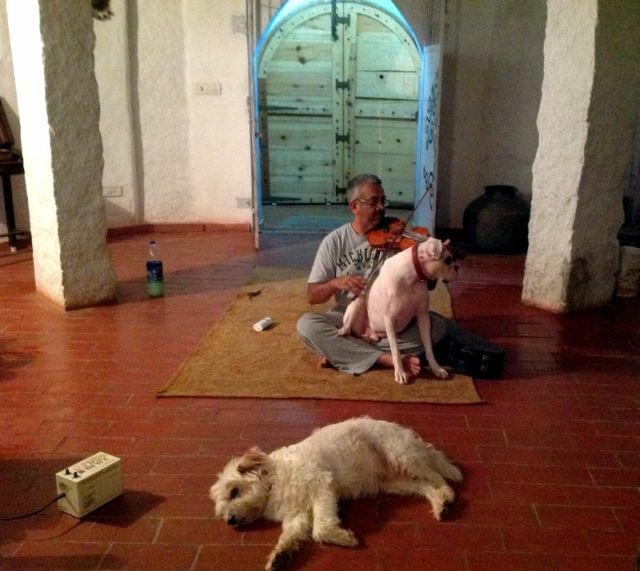 Pandit Raja, the Chief Fun Manager has taken over the duties of teaching the staff violin and verbs. Pandit Scotty is next to the electronic Tanpura, calibrating his musical senses to the D-Sharp tonic while in a state of meditation. Music is taken very seriously here. Prof Chunnudev was away on a student recruitment tour.Scholarships and dog biscuits are available at the Prof Chunnudev School of Music for dogs with talent and grit, though in-person auditions are needed.